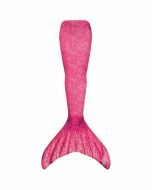 Our solid pink clamshell tankini top coordinates perfectly with Waverlee's Malibu Pink mermaid tail! When you’re looking for the best in mermaid swimwear, Fin Fun hits the mark! Top ties behind neck and features a comfortable four-way stretch that moves effortlessly with you. Tankini top only. Longing for comfort, style, and coverage when it comes to swimwear? Our mermaid tankini tops are just the thing! This pretty pink clamshell tankini top presents a unique look while you’re mermaid swimming with your mermaid tail from Fin Fun, and it’s made to last! Our swimwear line provides the authentic mermaid look you’ve always wanted. 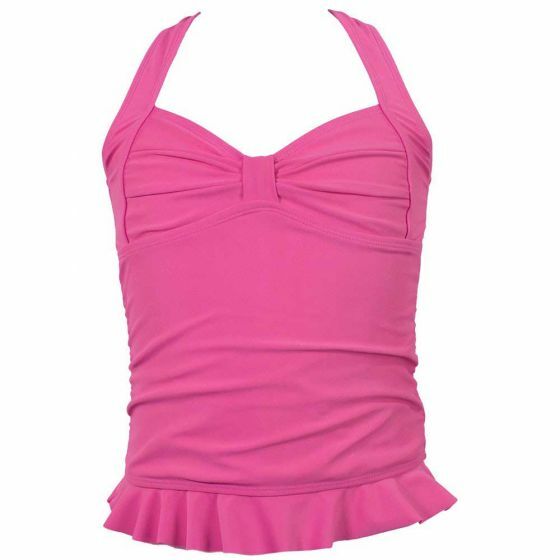 Pair our pink clamshell tankini top with a coordinating scale bikini bottom for the absolute best in mermaid swimwear! You’ll look so picture perfect! Grab your friends and start planning your next beach party complete with sandcastles, seashells, and mermaid tails!